It is impossible not to be impressed by the richness, justice, and eloquence of [Woods] readings like "Rope, Notorious, Under Capricorn," and "The Man Who Knew Too Much." . . . 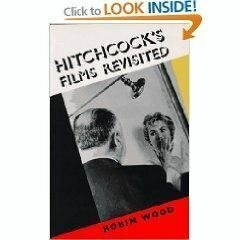 If there are still any doubters about Hitchcock's central place in the canon of 20th century artists, they should address themselves to this wonderful study, where they will find the case for the defense magisterially outlined and argued with sustained, fiery conviction.